The distinct history of a Halifax subdivision is slowly eroding as residents and their homes are changing over time. 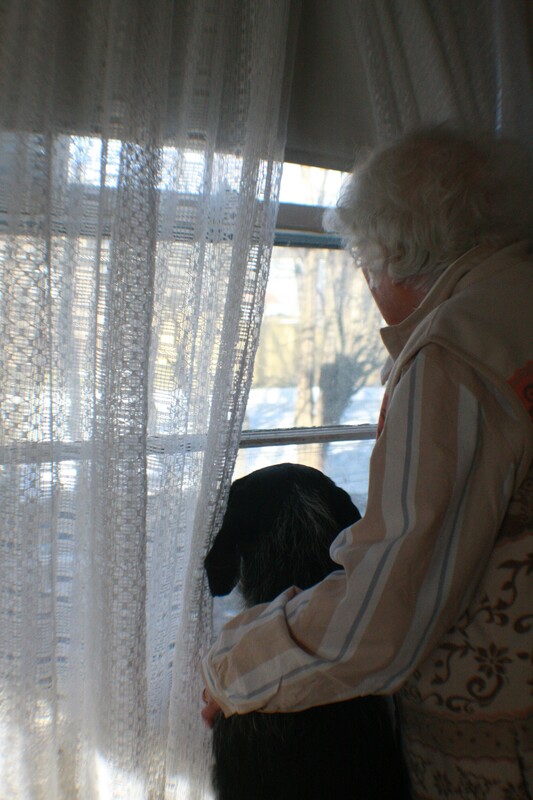 Rose Walker, 92, has lived in Westmount for almost as long as it’s existed. She remembers that the first house went on view following the Second World War in 1948, on William Hunt Avenue. Walker says those who served in the war were given preference, especially military service members who had families. She and her husband, a military clerk, along with their daughter, moved in “March the 13th in ’49,” she recalls during an interview at the home where she has lived in for most of her life. Westmount is located off Chebucto Road, not far from the Armdale Rotary. The city’s municipal airport was established on the site in 1931, but closed ten years later and was moved to Shearwater because of the Second World War. She doesn’t think the change of people is a bad thing, expressing her optimism that all the residents seem to get along with one another. Westmount has increasingly become prime real estate in Halifax, especially over the past decade. “There’s no question about that,” says Sandy Hines, a realtor with Royal LePage. The neighbourhood is attractive to buyers because it’s close to downtown but offers a lot of area for children to play. There are two schools, as well as public space at Saunders Park. “It’s not like other parts of the city where people live on top of one another,” says Walker. As new people move into the subdivision, some have chosen to make a fresh start by tearing down the old homes to build new ones. “They not only took them (old houses) down, they took the basements out too. I look at them (new homes) and I wonder what it’s going to do to the neighbourhood. Some of them seem too expensive for the area,” says Walker. A sample of homes in Westmount states assessed values for tax purposes range from $300,000 for most properties, to more than $600,000 for newer, larger ones. Roads throughout the area are named after army and airforce servicemen from Canada and Britain who died in the war. Harris Miller, former deputy of health for Nova Scotia, researched the history of Westmount before his death in 2009. He compiled detailed information on 18 men who are honoured by streets and avenues throughout Halifax that bear their names. Some of the names in Westmount include Edward Arab, George Dauphinee, Ralph Devlin, William Hunt, Peter Lowe and Robert Murphy. According to an article from 2009 by Kim Moar, published in The Weekly News, 305 homes were originally built in the subdivision. The vast majority of them were a mix of only four basic designs. Another distinct feature of Westmount is a few streets with homes that were built to face backwards. Entire rows of houses face inward towards a path running between them. This design was chosen to make the main street act as a service road. While some residents are concerned about the changes taking place in Westmount, Jonathan Budgell is a newcomer who says he’s making an effort to preserve the authenticity of this historic subdivision. 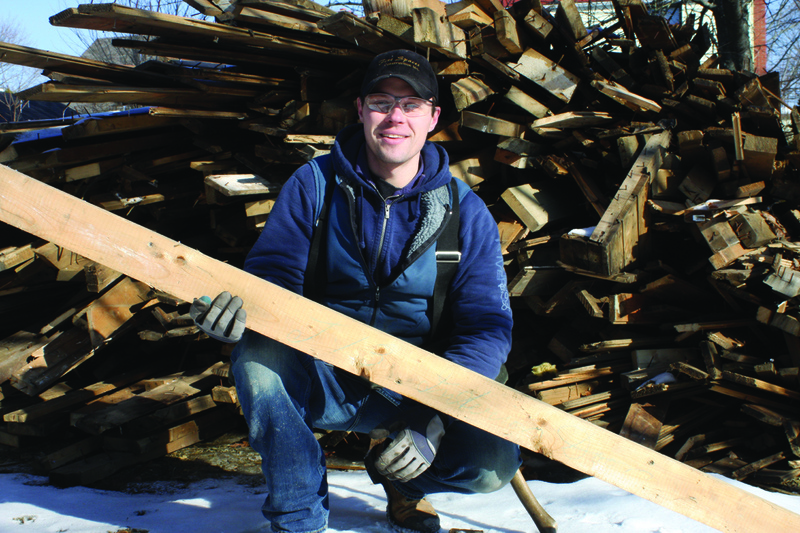 Budgell, 31, is a carpenter and bought a home on George Dauphinee Avenue last August because he and his wife “were looking for a fixer upper.” He’s renovating and is hopeful the house will be ready to move into by March. A few of his neighbours have been welcoming and teach him about the military history when they meet on occasion. During the renovations, Budgell says he’s learned some of the history on his own. “They were all kit houses,” he says while rummaging through lumber that was removed from the house and rests in his backyard. On a few pieces of the old wooden boards, you can clearly see writing that is more than sixty years old. Budgell has made a few big changes to the original home. He expanded the top floor in order to make room for an additional bedroom, bringing the total to three. He’s also building an extra bathroom and a half because the home only had one to begin with. He says he appreciates the history and wanted to preserve his home as best as possible, “without ruffling any feathers.” He’s kept most of the foundation, in addition to the original staircase, fireplace (that will serve as an ornamental feature because of the renovations on the second floor) and some flooring. The original concrete steps were removed and rest as a large solid mass at the edge of his front yard. This too will disappear.